Rashmi Khatri is an astrologer. She recently renovated her office in Delhi, dividing it into two compartments— one for showcasing gemstones and other for attending clients. For the showroom space, she wanted adequate lighting without increasing the electricity bill. She chose imported light emitting diodes, or LEDs. LEDs have been hailed as the future lighting source. They are three times more efficient than Compact Fluorescent Lamps (CFL). A three-Watt LED can replace a 10-Watt CFL or a 40- Watt incandescent bulb. But an LED costs Rs 800 and upwards compared to a 100-rupee CFL or a 10-rupee incandescent bulb. Apart from the high cost, LEDs are not popular because there are no defined performance standards for them in India. One in five bulbs sold in India is a CFL; LEDs account for only eight per cent of total lighting. Khatri is unsure if the LEDs she bought will run for 50,000 hours as claimed by the seller. A CFL lasts for 6,000 hours and an incandescent bulb has a life span of 1,200 hours (see ‘Visibly efficient’, Down To Earth, August 31, 2009). 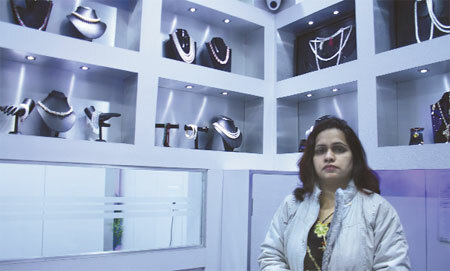 For Dinesh Kumar Gupta, a lighting shop owner in Delhi, experience with popular LEDs imported from Taiwan has been bittersweet. “After I replaced CFLs with LEDs in my house the electricity bill dipped from Rs 6,000 to Rs 4,000. However, the lights stopped working after six months,” he said. Gupta now regrets making the switch. But in the new year people like Dinesh and Rashmi can hope to get long-lasting, energy-efficient lights at lower costs. “The Bureau of Indian Standards (BIS) has finalised performance standards for LEDs. They are expected to be implemented in August this year,” said Girish Pradhan, additional secretary in the Ministry of Power. The standards, according to H C Kandpal, a member of the BIS technical committee, are mostly based on International Electrotechnical Commission standards, a global standards and conformity assessment body. In May 2010, Pradhan had released a report outlining four major barriers to growth of LEDs in India—high cost, no testing facility to check low quality of imports, no manufacturing facility and absence of standards. One of the recommendations of the report was to set up Central Institutional Mechanism (CIM), chaired by Pradhan, to transform Indian market in favour of LEDs. According to the industry representative body, Electric Lamp and Component Manufacturers Association of India (ELCOMA), present market of LEDs in India is estimated at Rs 120 million and expected to reach Rs 21 billion by 2020 if the barriers are removed. During CIM’s first meeting on October 18, the process of reducing the price of LEDs was initiated. CIM asked the Department of Industrial Policy and Promotion to form policies to extend fiscal incentives like concessions in sales tax and excise duty. “Such incentives will boost sales of the bulbs. About 60 per cent of the current market is based on imports,” said H S Mamak, an adviser to ELCOMA. Six multinational companies, including CREE, Osram and Philips, dominate global LED production due to high cost of establishing production facilities, he said. “At present, only drivers and fixtures are manufactured in India and then assembled with imported LEDs. This has raised the cost,” he added. The ministry asked the Central Power Research Institute, an autonomous body under the ministry, to set up a testing facility. “Since LEDs are manufactured abroad, buyers want them tested in Indian weather conditions,” said Shyam Sujan, secretary general of ELCOMA. The ministry is also planning to distribute a free LED bulb to every family below poverty line under Rajiv Gandhi Grameen Vidyutikaran Yojana. At present, a CFL is distributed for free. The statement that LEDs are 3times more efficient than CFLs is just not true. Not of you measure it (in lumens / watt). They are about as efficient, and some of the newer ones may be 10-20% more efficient (say 80 L/watt). If you replace a 15 watt CFL with a 5 watt Led, it will use 1/3 the electricity, but you aren't getting as much light. I can see from the photograph that LEDs are being used in display cabinets, probably replacing halogen spot lights - this is a very good use of LEDs - CFLs are not good as halogen replacements. But LEDs are NOT 3x more efficient than CFLs for general lighting.